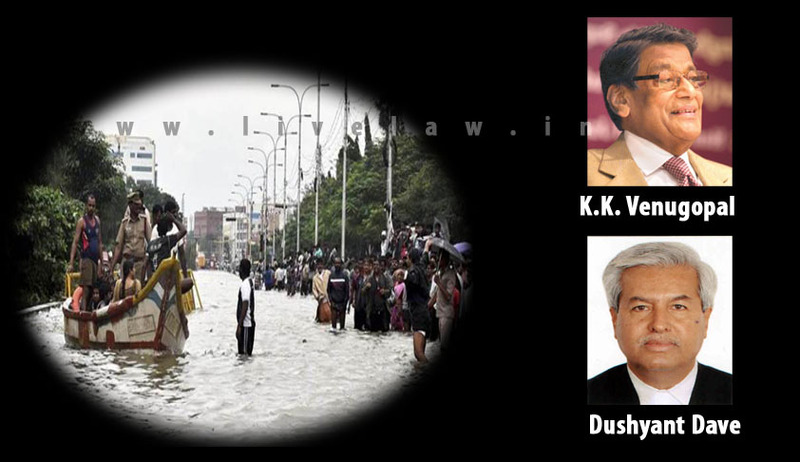 In a commendable move, the Supreme Court Bar Association of India (SCBA) has formed the “Chennai Relief Funds” to help the Chennai flood victims. The Executive Committee held an emergent meeting today, at 9.45 am, which was also attended by Mr. K.K. Venugopal, Mr. C.A. Sundaram, Mr. M.N. Krishnamani, Mr. K.V. Vishwanathan, Mr. Subramonium Prasad, Senior Advocates as Special Invitees. In the meeting, it was decided to collect contribution from the Members of the Supreme Court Bar Association to help the citizens of Chennai reeling under unprecedented Chennai Floods. It has been decided that the contribution collected will be routed through one or more N.G.Os. to be decided by Mr. K.K. Venugopal, Mr. C.A. Sundaram, Mr. M.N. Krishnamani, Mr. K.V. Vishwanathan, Mr. Subramonium Prasad, Senior Advocates in consultation with Advocate General of High Court of Chennai and Mr. Arvind P. Datar (Sr.). and Mr. Vijay Shanker, (Sr.). Senior Advocate Mr. K.K. Venugopal, Senior Advocate has offered Rs. 25 lakhs at the meeting itself. President of SCBA Senior Advocate Dushyant Dave also offered Rs.20 lakhs. The Association has requested all Members of the Supreme Court Bar Association to contribute generously to help our brethren suffering overwhelming & insurmountable difficulties on account of incessant floods and deluge. All cheques may be drawn in favour of “SCBA Calamity Relief Fund".